The New York Times Deceptive Editorial on President Trump's Energy Policies | Watts Up With That? Those two sentences were about all Mr. Trump devoted to his energy policy in his message. Brief as they were, they encapsulated nearly everything that is shallow, dishonest and just plain wrong with that policy, as well as his approach to environmental issues generally. Here’s what’s deceptive: There has been no war on energy. American oil, gas and renewables like wind and solar flourished under President Obama. Coal was the exception, but Mr. Obama was not its enemy; the market was. “Beautiful, clean coal,” meanwhile, remains a mirage, at least for now; the affordable technology isn’t there. And the United States has always exported energy. In recent years — the Obama years — the amount of energy the country has sent abroad has begun to catch up with the energy it brings in. Such concerns are nowhere to be found in the playbook of a man who says that climate change is a hoax. Hence, full speed ahead, at the Environmental Protection Agency and the Interior Department, with Mr. Trump’s “energy dominance” agenda, and with the overturning of rules that seek to balance conservation and commercial exploitation, and the opening up of nearly all of America’s offshore waters to drilling — whatever the risk, and however small the need. There has been no war on energy. 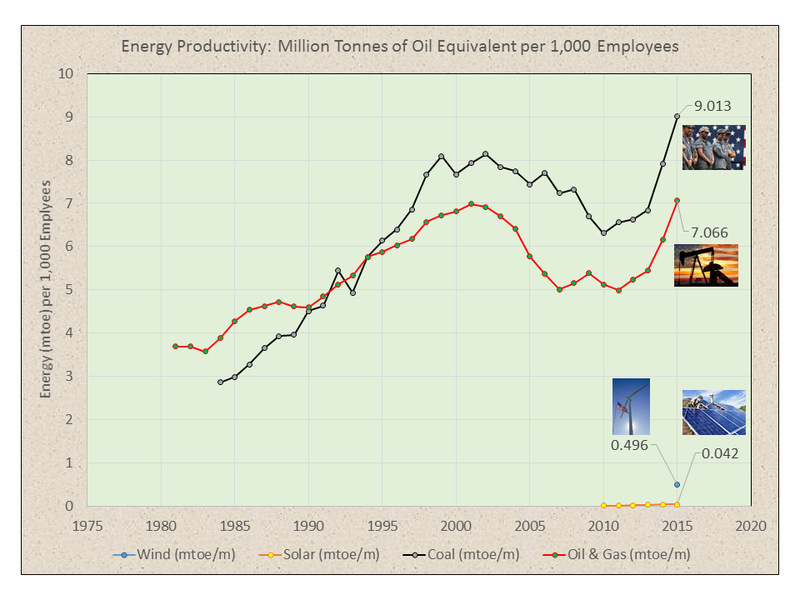 American oil, gas and renewables like wind and solar flourished under President Obama. Renewables, including hydroelectric, “flourished” from about 4 quadrillion btu (quad) in 2009 to about 7 quad in 2016. Total U.S. annual primary energy consumption is around 96 quad . And there very much was a war on energy. At least there was a war on energy that works. The war on coal was obvious. Fortunately, the war on oil and natural gas was mostly limited to Federal leases. President Obama did everything he could to impede oil & gas production. Unfortunately for him, the shale revolution took place on State and private mineral leases. Figure 1. 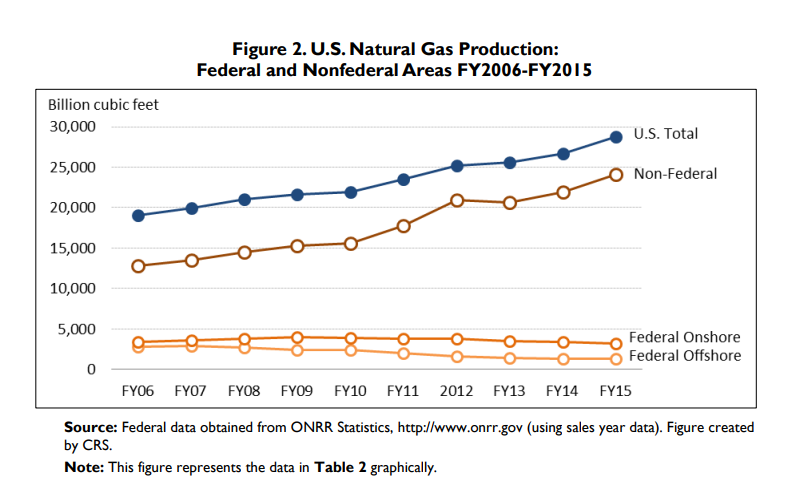 Natural gas production, Federal and non-Federal areas 2006-2015. Congressional Research Service. Figure 2. 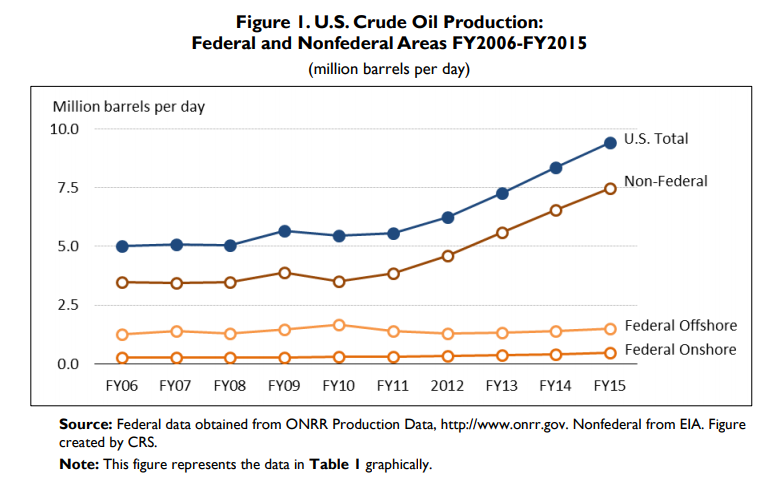 Crude oil production, Federal and non-Federal areas 2006-2015. Congressional Research Service. Figure 3. 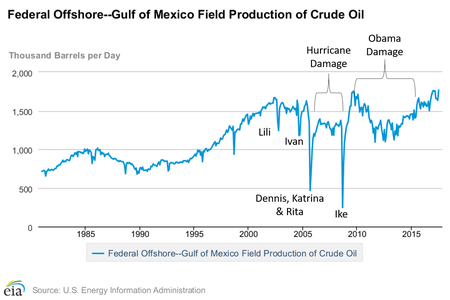 Federal offshore Gulf of Mexico crude oil production, annotated by the author of this post. US EIA. Oil and natural gas flourished despite President Obama. President Trump has begun the process of undoing 8 years of regulatory assault on the oil & gas industry. While not all of these areas will be fully opened due to challenges from States like Florida, much of it will be open and available for leasing, exploration, drilling and production. And the United States has always exported energy. In recent years — the Obama years — the amount of energy the country has sent abroad has begun to catch up with the energy it brings in. The energy the country sends abroad mostly consists of refined petroleum products… And Obama had nothing to do with it. Figure 4. 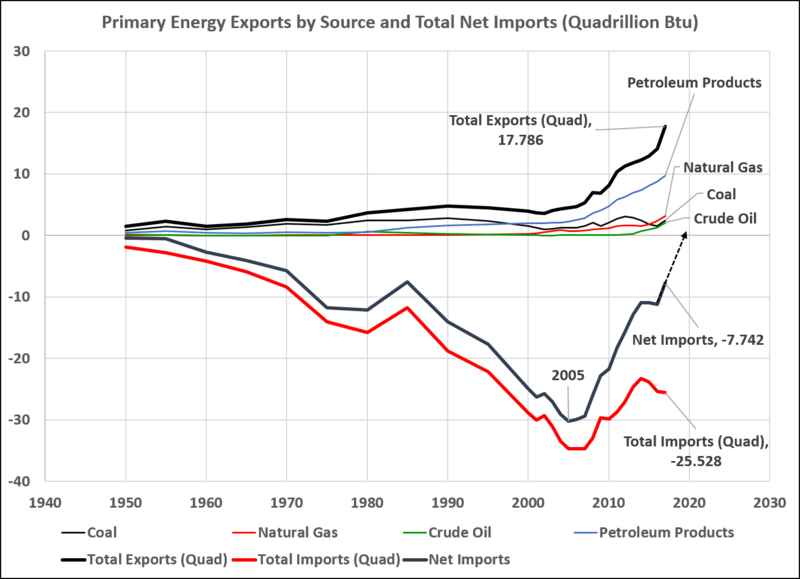 Primary US energy exports and net imports. US EIA. The U.S. “energy trade balance” turned the corner in 2005. If not for Obama’s war on energy, the U.S. may have actually become a net energy exporter while he was in office. 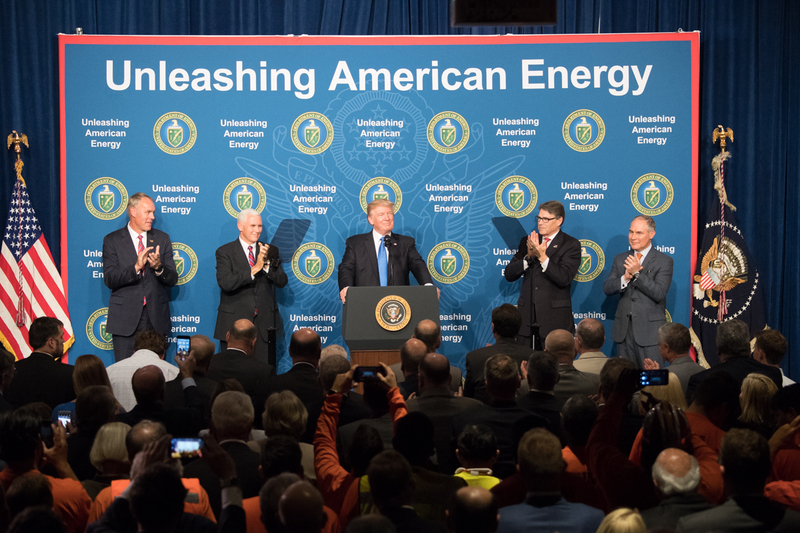 As it now stands, the U.S. is poised to become a net energy exported for the first time since the 1950’s, during President Trump’s first term in office. Hence, full speed ahead, … opening up of nearly all of America’s offshore waters to drilling — whatever the risk, and however small the need. Major oil companies did not bid Wednesday on state leases near the Arctic National Wildlife Refuge as Congress moves to open the refuge’s coastal plain to drilling, but small bidding groups did. The amount of leased state land on the North Slope is at historically high levels, said Mark Wiggin, deputy commissioner of the state’s Natural Resources department. Somehow, I doubt that The New York Times Editorial Board reads the Anchorage Daily News. Annual Energy Outlook 2017. US EIA. January 2018 Monthly Energy Review. US EIA. Funny isn’t it how all of a sudden the MSM and the eco-loons want to give Obama credit for the shale revolution. Only for about a half a second any more. The duplicity of the left leaning press is a serious issue, imo. They do this with almost everything they publish, the twisting facts I mean. Yes, the Leftwing MSM wants to give Obama credit for everything. For shale oil, and for the economy as a whole, as examples. The facts are Obama did everything in his power to stifle U.S. energy production (with the exception of windmills and solar), and the general economy. A president can do a lot of things to harm an economy, but very few things which will help an economy. The main things a president can do to promote an economy is to cut taxes and reduce regulations and get the government out of the way as much as possible. This is what Trump did. Obama did just the opposite. So anyone giving Obama credit for promoting the U.S. energy sector or the U.S. economy in general, please give an example or two of Obama policies that accomplished these goals. Don’t waste your time looking for any though because Obama did nothing to help the energy sector or the economy. All those jobs Obama claims he created? They would have been created whether Obama was president or not. 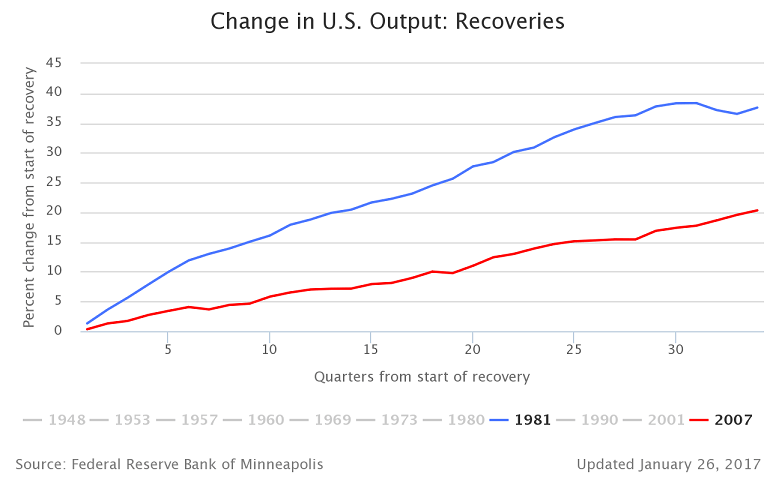 The U.S. economy has a momentum of its own, and that’s what creates the jobs or cuts the jobs. Obama stunted this momentum and Trump enhances it. 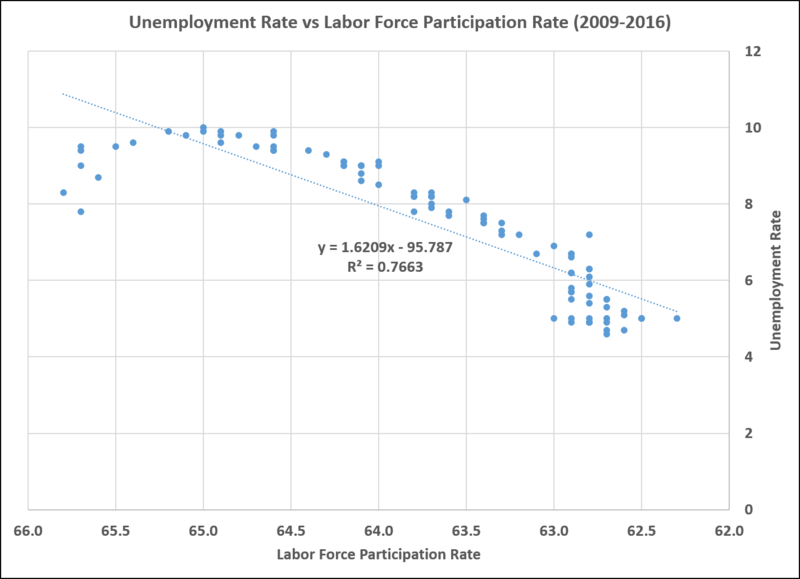 Lowering the unemployment rate by driving workers out of the labor force. Real growth starts at 2%. The GDPNow model forecast for real GDP growth (seasonally adjusted annual rate) in the first quarter of 2018 is 5.4 percent on February 1, up from 4.2 percent on January 29. The forecast of real consumer spending growth increased from 3.1 percent to 4.0 percent after this morning’s Manufacturing ISM Report On Business from the Institute for Supply Management, while the forecast of real private fixed-investment growth increased from 5.2 percent to 9.2 percent after the ISM report and this morning’s construction spending release from the U.S. Census Bureau. The model’s estimate of the dynamic factor for January—normalized to have mean 0 and standard deviation 1 and used to forecast the yet-to-be released monthly GDP source data—increased from 0.42 to 1.37 after the ISM report. Unlike his predecessors, Trump won’t hesitate to fire the Fed chairman if he gets too aggressive with interest rates… And the low unemployment rate is a mirage. I’m glad you included that tidbit of information. The economy is really taking off. Who says tax cuts and regulatory reform don’t work? They work every time they are tried. Tax revenues will increase, not decrease as the Democrats claim. The Democrats don’t have a clue about how an economy works. All they know is how to spend money. Other people’s money. The corporate tax cuts will have a YUGE, almost immediate impact on the economy, particularly the repatriation tax relief. Up to $2.3 trillion will be injected into the economy if everyone follows Apple’s lead. David, again, very true. But, the unemployment rate at this point will be an indicator of the pace of economic growth. If it stalls out (or rather if the fed stalls it out) that simply means that economic growth is slow enough for a recession to kick in. Even with a stalled unemployment rate, there is still job growth for population growth (as well as people reentering the job market). As i showed you recently, the unemployment rate is the key metric for determining when the next recession hits. Whatever happens, with Trump it won’t be boring! what about all the jobs bo created writing regulations? Well. maybe because the Obama “boot on the neck of the oil industry” has been removed by Trump. Who was it who stopped the Alaska oil pipeline then? God? If you like your policy, you can keep your policy. The average family will pay more than $2000 less for a helath plan/policy. Obama may be even worse than we thought, depending on how the current investigation of his former administration and minions goes. Obama may be neck-deep in this corruption. If you ask me, he orchestrated it. Even if he didn’t, he is still the Worst President Evah!!! Not God and not Obama. What about drilling on federal lands? The fact is that this president, like all of them, has a narrative that is more or less detached from reality. This narrative was the “I’m an eco-president”, while the reality was, “I’m pro-campaign contribution and eventual personal financial gain from my time in office”. Please don’t blindly believe either left wing MSM or right wing infotainment. Who was it in the Obama administration that claimed health care premiums would go down 200%? He had no executive experience and little legislative experience. What he had was Chicago politics experience, and that’s what he brought to and inflicted upon the Federal government and American people. IRS – in on the fix against conservative foundations, and nobody was going to pay. EPA – in on the fix with blatant political sabotage masquerading as science. DOJ/FBI – in on the fix with blatant corruption ensuring HRC’s emails would get a blind eye. Energy giving away vast sums of taxpayer money on the thinnest of schemes… Department after department made over in the image of a Chicago political machine. And on top of that he made race relations worse than before… Hard to beat that record, especially for a Nobel prize winner. What a yuk. I believe he will go down as one of the worst presidents ever, once the media figures it out, as I suspect will eventually happen. But I’m not holding my breath. And, where does the carbon in organic material come from? The atmosphere needs to carbon-load, in preparation for the Olympics. Yeah, I caught that “carbon loading” also. Perhaps soon we will see diamonds floating all through the atmosphere. Perhaps Lucy will be there too. More proof the NYT is mostly fake news. No war on energy? => Obama placed most offshore off limits. Ditto ANWR block 1002. No war on coal? 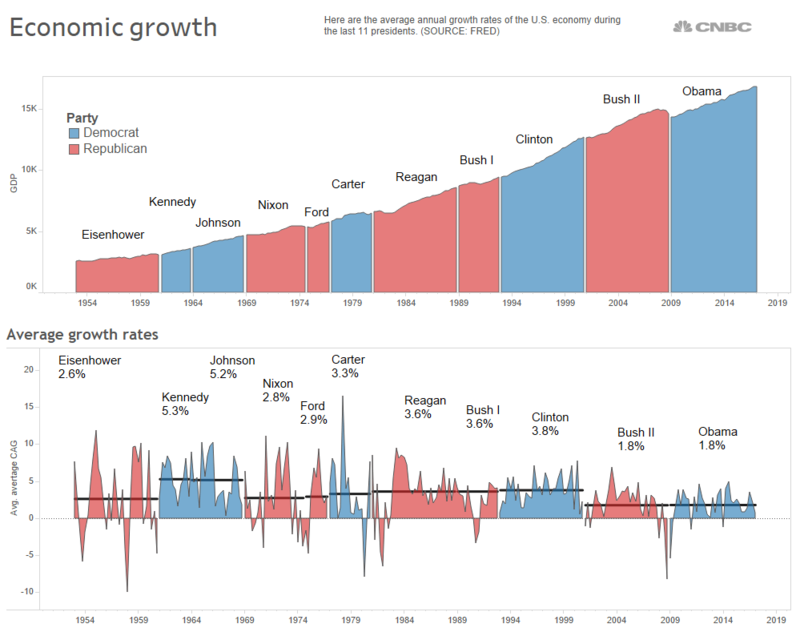 => Obama CPP. See essay Clean Coal at Judith Curry’s Climate Etc or in ebook Blowing Smoke for further thoughts and more Obama legal outrages concerning fossil fuel energy. It’s not fake news. It’s not even news. It is an editorial article, just another misguided opinion. Opinions are like a$$holes, everybody has one. It’s just that some people practice better hygiene. Plus many. Going to ‘borrow’ that comment for future use. It’s not opinion. It’s sophistry based on a lack of journalism that includes any depth in the research. Like the article says, they don’t read the Anchorage Daily News. In other words, they have their set “go-to” industry sources who have a very narrow access viewpoint and likely wear green glasses. – 2012 – Mitt Romney morphed into a traveling salesman here Thursday as he gave his best pitch for an energy plan that’s big on loosening environmental regulations and expanding domestic oil drilling and coal production. To those who might doubt Romney’s projection that his plan would make North America energy independent by 2020, the presumptive Republican presidential nominee had a simple message: “It is achievable.” “This is not some pie-in-the-sky kind of thing,” Romney told a modest crowd outside a truck warehouse in New Mexico. “This is a real, achievable objective, and I have a chart that’s still, despite the wind, still holding up up here.” While Romney stressed the idea of independence, the plan relies heavily on imports from Canada and Mexico, two of the world’s biggest oil producers. Hence the use of the phrase “North American” before energy independence. “The net-net of all this, as you can see, is by 2020, we’re able to produce somewhere between 23 million and 28 million barrels per day of oil, and we won’t need to buy any oil from the Middle East or Venezuela or anywhere else where we don’t want to,” Romney said. That was from the Washington Post. I mean seriously – Romney predicted this, all of it, and Obama and the dems made silly jokes about how stupid his ideas were. Now…what? he was right, waaaaay back in 2012. And to their very last day in office, Obama and the items insisted they were wrong. Romny did have a good plan for North American Energy Independence. But, he didn’t have a plan for American Energy Dominance. During a presidential election debate, Romney said Russia was our most serious foreign policy problem, Obama scoffed and said, “The 1980’s want their foreign policy back!”, as if Romney was a fool for thinking good ole Russia was any threat to us. It appears that the Deep State used the same tactics to discredit Romney as they used on Trump, with even most of the same people involved. Hey New York Times, it is not carbon – tell the truth, it’s Carbon Dioxide which is not pollution. Do you have a problem stating that NYT? Get your facts straight. When taking into account all the CO2 put into the atmosphere (natural causes & mankind’s activities) our activities, don’t they only comprise about 2 – 3 % of the CO2 released into the atmosphere? If so, sure seems a tempest in a teapot…. And water vapor is measured in percentage that the atmosphere can hold. 410,000 ppb – we’re all gonna die! The NYT is a top-down organization. They don’t read the Anchorage Daily News. The Anchorage Daily News is obligated to read the NYT and then know what to print. That’s how it’s supposed to work in MSM-Land. quem deus vult perdere prius dementat: Whom a god would destroy, he first drives insane. This Year alone, the New York Times could win the BookBrowse Awards, Pulitzer Prize for Letters, Drama and Music, Man Booker Prize,The John Newbery Medal, Edgar Awards, National Book Critics Circle Award, National Book Awards, Nobel Prize in Literature, Costa Book Awards, Neustadt International Prize for Literature, Hugo Award, and the Grauniad First Book Award for major contributions to Fiction Production..
Ntesdorf, was your comment sarcasm? The only prize you list that the NYT might win is the Pulitzer. All the rest are awards given to authors or publishers. It is hard imagine how the editors of the NYT keep a straight face when they write that there was no war on energy (Keystone Pipeline, anyone?) from the Obama administration. I bet most of the comments by the NYT’s readers are in total agreement. Those are all prizes for fiction. The sarcasm is obvious. Put the Saudis in crack. If at first you don’t succeed, lie. Then rely on the main stream media to cover for you. The NY Times is written, produced and distributed by carbon pollution. It’s coming, Clean Coal is possible, but it’s not just about taking the CO2 out of combusted coal exhaust, it’s taking a waste product and creating jobs and product, turning this CO2 into money. It’s good for the economy, and if good for the environment, that’s a bonus. In talking about clean coal, you must also consider extraction. W. Virginia and Kentucky have some of the highest rates of cancer in the country, especially in those counties near mines. Coal haters are so boring. No such thing as clean coal…… stop with the propaganda nonsense! The people who use cancer to fear mongering never tell you what the actually tell you what the rates are and what kind of cancer is higher. ‘In talking about clean coal, you must also consider’ that living near a coal mine you are living in a beautiful area. If the NYT is your local paper you are living in a concrete cesspool. I understand why city dwellers worry about the environment. Thanks to the interstate systems, Americans living in big cities can drive from NYC to LA and never see America. Probably because the smoking rates are higher there. But don’t let facts get in the way of your preconceived biases. In general, there is a correlation between poverty and cancer rates. Mostly because there is a very good correlation between poverty level and smoking. It’s no coincidence that states on the lower end of the economic spectrum show higher rates of smoking. This is the left’s constant sleight of hand- always assuming that when you say “clean coal” you mean CO2 free when you simply mean very much reduced/scrubbed sulphur and NOX. Because of the EPA directive that designated CO2 as a pollutant, they feel they can include CO2 in the definition of clean coal and of course we all know that carbon capture is too costly. That’s why the NYT said “the affordable technology isn’t there” and helpfully confirmed in the process that one of their pet technologies is a dud. But none of this is out in the open and stated definitively as involving the inclusion of CO2. This allows them to say there’s no such thing as clean coal. So long as they don’t mention it, they can talk at cross purposes with you while smugly thinking they’re calling you out on your clean coal assertion. Now add in a related sleight of hand: “carbon pollution”. Shouldn’t that mean soot from chimneys? No, it’s their shorthand for CO2 but they don’t tell you that’s what they mean. Then they’ll show power station chimneys spewing soot and you think “well, yes, that does look like carbon pollution I suppose”. And then they add the obligatory cooling towers to enhance the effect. This wilful talking at cross purposes on CO2 “pollution” and “carbon pollution” while being coy about hiding behind the EPA directive, will totally confuse students and hard working voters. They’re duped into thinking power stations are much dirtier than they really are. You pretty much nailed that one. I don’t see a problem collecting the heavy valuable metals from the coal for other applications. SO2 is a fertiliser in appropriate quantities. NO and NO2 are pollutants because they are PM precursors. They need management, unless there can be shown some commercial use of it. CO2 is being put back where it belongs in the air. If we learn from history, it is that not long ago the planet came perilously close to losing its biomass foundation for the food chain. Can we really affect it? Let’s see. Two more points: coal mining and human health, then the numbers employed in ‘renewable vs coal’. First, coal mining is highly suited to the use of industrial robots but that high tech transition is not yet started. The management of the environment around the mines is a challenge for us and future mining engineers. Estimates should be based on what can be learned, not what was done by scallywags. For employment, I hear frequently the stat that more people are employed in ‘renewables’ than coal. If true, it merely shows how inefficient renewables are at generating power. But with that claim should be clarification about deaths on the job per GWH of output. Wind and solar are dangerous. The renewables hardware industry spreads it’s pollution and impacts over large areas of land often in overseas countries. Effective management of the environment and the energy supply remains a perpetual challenge whether we live in caves or castles. There is nothing wrong with consulting honestly about it. I am an admirer of all energy. I have never met a Watt I didn’t like. The NYT Editorial Board, reporters, writers, staff and owner live in the castles of vapor that Al Gore imagines in his alarmist sociopath mind. Where do they live, how do they travel, and what is their carbon (sic) footprint (c.f.) ? I dare anyone of them to compare their “c.f.” to mine. Trust me. That statement actually has the merit of being true. Every time Air Force One, or two, instead of a broom stick, spirited Michelle (whoever dressed that woman?) and the lil’ ones to vacations in the Bahamas, Mexico, and other spots it was bringing energy abroad. And, since these trips certainly separated Michelle from the high-end WH chef we can assume Air Force One, or Two, slurped up less energy bringing her back in since it had less poundage to contend with on the return. Now, I know what I’ve just written could not possibly pass any standards of professional, factual journalism. Maybe (but probably not) the NYT could recognize that. Let’s not forget that many of the most unpleasant regimes in the world are also supported by oil revenues. There is something to said for not having to pay lots of money to your sworn enemies. Putin’s Russia needs oil revenues. The 9-11 attacks on the USA were by religious fundamentalists bankrolled by a Saudi with more money than he knew what to do with. There may well be others. US wars in the Middle-East have been fought primarily because that is where the geo-political oil was. No one gives a toss about most of Africa because……same reason. We all know why China is getting so territorially belligerent about the Spratly Islands, and it is the most likely trigger for World War III. Not needing to be so polite to oil producers in the Middle-East and elsewhere ought to allow America to start living up to its principles in the foreign-policy arena. And shared frackable gas deposits in the Eastern Mediterranean could, potentially, oil the wheels of a peace-outbreak between Israel and its neighbors. If it happens in the next decade, the NYT and Obama may recognise it in thirty years time. And claim credit for knowing it all along. It’s incredible, isn’t it, that green mouthpieces say all that oil and gas is going to be left in the ground by wind mills and a smattering of solar panels? Yet the value of petroleum products is still determining the future of world peace and the living standards of 7+ billion people. 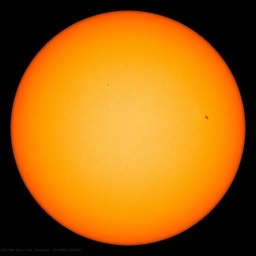 And it will continue to do so, long after the BBC luvvies have forgotten carbon dioxide and plastics. Not much oil in Afghanistan and Iraq is one of the smaller oil producers in the region. Not much oil in Israel or the Palestinian territories. Wrong. Iraq has lot’s of high quality, light oil. It used to be the second largest oil producer in the Middle East. The cost production is also low in Iraq when it is not gripped in civil war. The WUWT editorial ignores all factors like global markets, automation and methods in coal mining, the rise of natural gas, environmental costs, etc in the “evidence” that the Obama administration was at war with the FF industry. One thing Obama did was to simply enforce regulations that were on the books from earlier administrations. The coal mining industry has been suffering since long before Obama; new regulations had an impact but it was small compared to other factors. Mining and burning are sources of costs to human health that aren’t factored in when looking at its role in the economy. But all that is irrelevant to the main question, which comes down to motive. Wanting to ameliorate negative effects of FF extraction, transport, refinement and use on humans, economy and environment is not the same as declaring war on an industry. Why would any president want to destroy an industry, especially one that is important to the economy? It’s a baseless accusation. it clear you suffer from Ocular partisan disease, since David exposed the deception by showing that Obama DID NOT support Oil and NG production since he tried to shut them down on “Federal” lands. It was on STATE lands that the OIL and NG boom occurred on. Suuuure if you are a partisan lemming. Obama did a lot more than just enforce existing regulations, which by the way were already being enforced. He created entire books of new regulations, and when that wasn’t enough, just created new laws with a stroke of his pen. Obama declared during the campaign that he was going to bankrupt the coal industry, and as soon as he took office, he started to make good on that promise. Are you referring to what David posted? In that he says nothing of the kind. I’m aware he made new regulations. He was trying to reduce CO2 emissions. I think that’s a good thing. These days it would seem foolhardy to open a new coal-fired plant unless it’s to replace an old one. “The coal mining industry has been suffering since long before Obama; new regulations had an impact but it was small compared to other factors.”…primarily natural gas, automation and dropping prices – the international demand is shrinking. The number employed by coal mining actually rose a little during Obama’s presidency (then dropped a lot), though it has been dropping since 1986; the latest peak was in 2012. The energy industry is not a jobs program. Ms. Silber, do you get paid by the word to lie on WUWT? Directly quoting a Democrat President = baseless accusation to the troll. Thanks for the link Mr. Middleton – you obviously type much faster than I do! About 6 WPM after adjusting for typos… LOL! The oil and gas industry is in the crosshairs of the administration’s eco-agenda, even if Shell gets its Arctic drilling permit. The limits on toxic air emissions from refineries that EPA proposed last year could cost more than $20 billion to implement, according to industry estimates, though the American Petroleum Institute said on Thursday that it hopes to see the final version significantly scaled back. EPA’s projected price tag was much smaller, at $239 million in total costs for the new emissions standards. The National Association of Manufacturers has offered an even more gargantuan cost estimate for the ozone rule that EPA proposed in November, warning it could wipe out $3.4 trillion in economic output and 2.9 million jobs by 2040. The agency disagrees, saying the costs would amount to no more than $16.6 billion a decade from now, compared with as much as $42.1 billion in benefits such as reductions in deaths and illnesses. The updated ozone rule “will be based on the law and an exhaustive, open and transparent review of a large body of science, along with advice from an independent panel of leading air quality and health experts,” EPA spokeswoman Laura Allen said Thursday. The rule, required to become final by Oct. 1, would set the standard at between 65 and 70 parts per billion, down from a George W. Bush-era standard of 75 parts per billion. The political battle is complicated by the fact that the oil and gas rules are moving through EPA and the Interior Department with far less public fanfare than the Obama-touted plan to push down power plant pollution. And the president continues to praise the economic power of the domestic oil and gas boom while risking greens’ ire with moves to open up parts of the nation’s coasts to offshore drilling. “Anybody who thought getting rid of coal was going to be the end of concern about climate regulations’ impact on the fossil fuel sector” now sees “that’s a questionable assumption,” said Salo Zelermyer, a top Energy Department official under George W. Bush who now advises industry clients at Bracewell & Giuliani. In addition to EPA’s methane regulations, which are expected to affect existing emissions sources narrowly if at all, Interior’s Bureau of Land Management is preparing to open a White House budget office review as soon as this month on rules for drillers’ releases of the greenhouse gas on public lands. A separate BLM fracking regulation unveiled in March is stuck in legal limbo thanks to a challenge by two regional oil and gas groups but could go forward next month. The Bureau of Safety and Environmental Enforcement (BSEE) published its final drilling safety rule earlier this year to address a range of systems and equipment related to well control operations. The rule is designed to improve the reliability of offshore equipment and systems and to reduce the potential for another event like the Deepwater Horizon. However, the new offshore drilling regulations designed to improve the reliability of equipment may bring more downtime, increased costs, and significantly more operator requirements for training and inspections. Industry experts also predict a potential loss of up to 190,000 jobs as a result of decreases in exploration and production. While the BSEE said it has incorporated more than 176 public comments and suggestions from the proposed rule into the final rule, and the full set of regulations will be phased in over a few years, many industry experts feel it is still too prescriptive and challenging to implement – not to mention too expensive – especially for an industry mired in the worst economic downturn in decades. Can the industry implement the new rule by the deadline and will the regulations have the desired effect? In reviewing the more than 500 pages of regulations, here are seven key takeaways about the final rule. One of the most contentious points of the final rule establishes mandatory drilling margins to “reduce the likelihood of a major well control event.” The original proposed rule had requirements for the drilling margin that operators must maintain to ensure that the pressure exerted by drilling fluids does not fracture the formation. The rule defined 0.5 pounds per gallon (ppg) as a safe drilling margin between the weight of drilling fluids and the amount of pressure a formation can withstand before fracturing. However, the API and other industry commenters asserted that this definition was both arbitrary and economically infeasible. They contended that this “one size fits all” approach would lead to operational problems from limiting the selection of drilling fluids or limiting the casing strings or production casing sizes. Some operators were also concerned that the new standard would restrict them from exploring certain reservoirs due to the decreased production from smaller hole sizes. For the final rule, BSEE kept 0.5 ppg as a default requirement, but allows the use of an alternative if the operator receives approval based on adequate justification and documentation, including supplemental data, submitted with its application for permit to drill. There is likely to be some potential flexibility here as discussions continue. Further clarification is needed, for example, about the exact process, timeframe, and criteria needed to gain approval of an exception. One operator that was interviewed was unclear about the documentation specifics and the supplemental judgment criteria being used to grant exceptions. In addition, it is possible that the BSEE may exempt or “grandfather in” wells that are in progress or already permitted. The industry as a whole has strongly criticized both the proposed and final rule and BSEE’s cost estimate. Specifically, many industry experts, the API, and some members of Congress criticize it as being overly prescriptive and suggest it could impede rather than enhance safety. Several operator and industry groups have weighed in and estimate that the final rule could cost a total of $25 billion over 10 years and render development and production of many offshore discoveries uneconomical. It could even potentially end development in the US outer continental shelf (OCS) and the Gulf of Mexico. Several integrated operators have openly stated that the bureau did not adequately account for the indirect costs associated with the rule, such as job losses resulting from contraction of offshore development. Potential reduction in workforce and layoffs of up to 100,000-150,000 jobs by 2030; this may include jobs beyond the energy industry; most notably, 80% of these jobs could be in Louisiana and Texas. With its focus on blowout prevention equipment, monitoring, maintenance and training, the final drilling rule is certain to have an impact on the offshore oil and gas industry. But at what cost? Are the current industry standards in API 53 sufficient to safeguard against disasters? And what criteria will be used when evaluating requests to use “other” procedures? While the final Well Control Rule was not as bad as Obama’s first version, it was totally pointless, increased drilling costs and made no measureable difference in well control. After coming into office on the heels of a relentless regulatory onslaught from the Obama administration, President Trump and leaders in Congress worked diligently throughout 2017 to rein in the regulatory state. These actions didn’t always make big headlines, but their results certainly have. Soaring business confidence, a robust stock rally, and consecutive quarters with growth rates of 3% tell the story of an economy finally feeling relief from overregulation. President Trump started quickly upon entering office, promptly halting all pending regulations and signing executive orders to ensure that new rules were issued only if old ones were eliminated. Congress also took bold action early to seize a narrow window of opportunity to invalidate regulations using the Congressional Review Act (CRA). Under the CRA, Congress reversed 14 midnight regulations issued in the waning days of the Obama administration. One example was the Federal Contracts Blacklisting Rule, a devastating regulation that could have barred businesses from federal contracts for mere allegations of labor violations. Congress more recently used the CRA process to rescind the anti-arbitration rule, which would have effectively banned arbitration clauses in consumer contracts and forced all disputes to be dealt with in court. It would have amounted to an enormous gift to the trial bar. The Environmental Protection Agency was another bright spot for rule reversals. It took action to repeal harmful regulations like the sweeping Waters of the U.S. rule, which broadly expanded the definition of federally regulated bodies of water, and the Clean Power Plan (CPP), which sought to regulate large swaths of the economy. 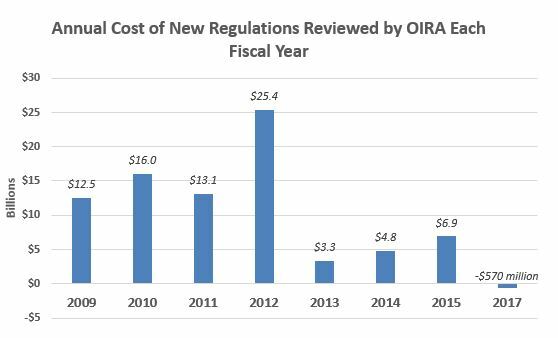 Each year OIRA reviews “significant regulations” as defined by Executive Order 12,866 totaling on average a few hundred per year. Of those, a substantially smaller number of regulations are economically significant, meaning they carry costs greater than $100 million per year. OIRA catalogs these most costly rules each year in an annual report to Congress, in which it reports the estimated costs and benefits of the rules. And as a constitutional scholar, he shredded the US Constitution. The list is a bit old and has 388 comments. I don’t have the time to read it all. If I did, I’d likely not sleep well and would be angry for a week, maybe longer. Still, I appreciate knowing it exists. John, it was updated to the end of his Presidency. But you’re right. Not good for anybody’s sleep! With friends like Obama, nuclear did not need enemies. The first thing Obama did was install an anti-nuke to run the NRC and stop review of Yucca Mountain. Harry Reid was probably an even bigger obstacle to Yucca Mountain… The most suitable geological repository for nuclear waste in these United States. Not that we need a repository. Just reprocess the stuff like the rest of the world does. The federal reserves job is to protect the value of the currency. If you think high inflation is a joke, perhaps you should review the days of the Wiemar republic. The federal reserve only has two levers to control the money supply. The first is by either buying or selling t-bills which directly impacts interest rates. Or by adjusting the reserve requirements of all banks. This reduces the supply of money and causes banks to stop lending while they build their reserves to the new levels. Why do you leftists get so upset when faced with reality. When inflation hits, the only people who do well are those who own real assets. Mostly the rich. The poor are killed by inflation because the stuff they need to buy is going up in price much faster than their wages are. It would be nice if you actually learned something about economics instead of spouting third rate marxism over and over again. Why doesn’t Little MarkoW get on the phone and tell Big Don what a commie he is for suggesting that poor people should have more jobs and better wages? 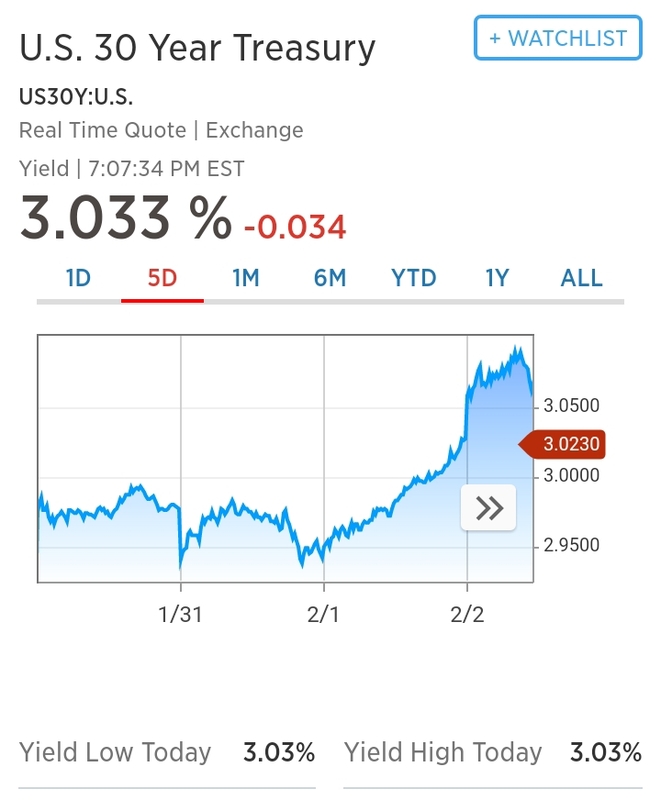 re the stock market plunge: Interest rates are going up so some people are moving a little money from stocks into bonds. And then there is program trading. A normal drop of a couple of hundred points becomes a big drop of 1,000 points when you have the robots doing the trading. And the stock market has climed steadily for 8,000 points so it was due for a pull back. But the fundamentals of the economy are strong and getting stronger so the stock market is going to go higher. Now might be a good time to buy in. Thanks for this insight. I’ve been trying to understand the high inflation rate of Venezuela. Inflation through out the whole XIX century, time of the most robust long term growth, was ZERO. Even the civil war only affected “greenback” value, but currency (silver and gold coins) were unaffected. 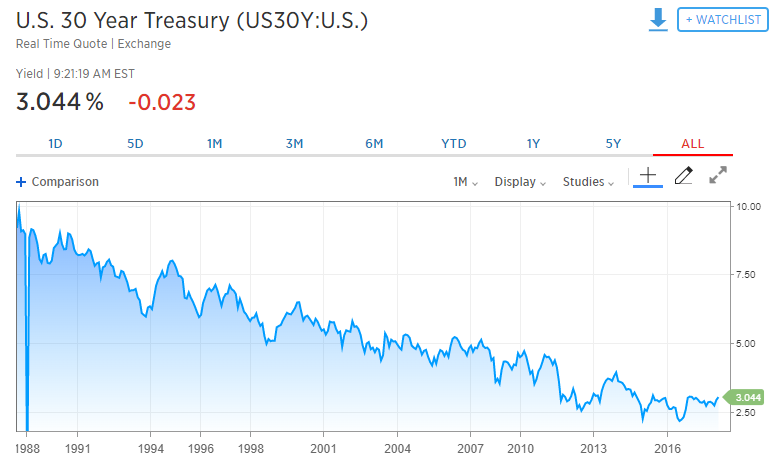 People got so used to near-0% interest rates, that 3% 30-yr Treasury yields cause panic-selling. What causes inflation is the money supply growing faster than the supply of goods. P@ranoia may be cute, but it’s an awful economic policy. Also… Remember that the stock market often reacts to indications of things to come. The best wage growth in a decade, spiked bond yields, which tanked the stock market on fears that the Fed would raise interest rates more quickly than expected… The Fed didn’t actually do anything or even say anything. “There has been no war on energy.” Right. Hillary never talked about putting coal miners out of business, and the Climate Mafia never invoke the evils of fossil fuels, the evil of fossil fuel companies, and/or the evil of fossil fuel employees. Apparently progressivism means never having to say you’re sorry. Once again, Obama on the WRONG side of History. The WRONG SIDE of Energy. pushes policy (cap and trade ) that would directly benefit his pals at the Chicago Climate Exchange . No conflict there . How much unauthorized money disappeared from USA tax payers as Obama got set to collect his pension ? $ Half a billion plus all that to rent seekers . President Trump will eventually get around to it’s recovery and hopefully criminal charges . Sorry, if you quote no source then your dog could have come up with these figures. Did it? 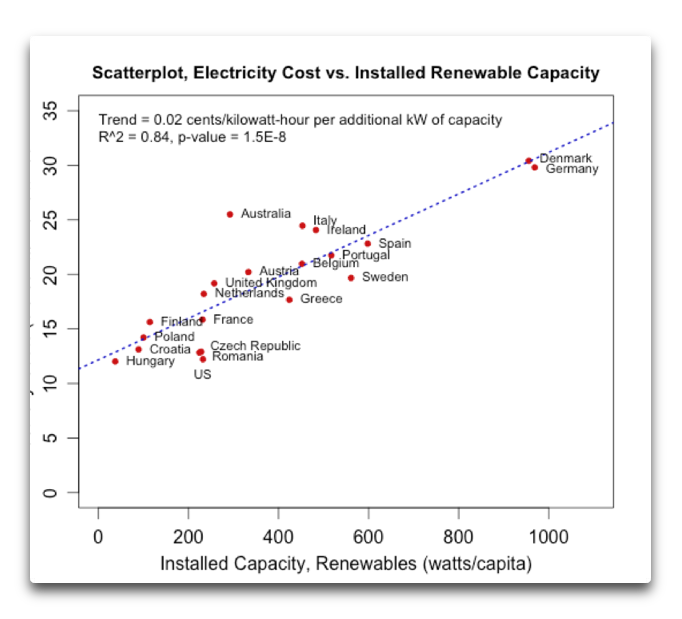 The high electricity prices in Germany, Denmark and other participants in the “renewable energy revolution” isn’t exactly a secret. No realiable verified source for this data. Cannot be trusted. Don’t tell that to Ivan, he lives in a fairy tale land, where government are Divine Providence incarnate, caring about people and the Planet. This would shatter his dreams. Meaning, to be fair, you can expect them to have high retail electricity price even if they didn’t subsidize renewable. ivan sure works hard to avoid seeing what he’s paid not to see. You can see the data sources in that post. Get off your computer, Mark, step outside your front door and you might actually see it going on around you. Send me some photos. you quoted no source for your claims, so I guess your dog could have come up with these. Did it? I think not. No dog is clever enough to state such nonsenses. Sep 11 (Renewables Now) – Denmark’s Dong Energy A/S said today it has taken a final investment decision on the 1,386-MW Hornsea Project Two offshore wind farm after being awarded a contract for difference (CfD) at a record low price for the UK of GBP 57.50 (USD 76/EUR 63.3) per MWh. A total of three offshore wind projects representing about 3.2 GW of capacity were successful in the UK government’s CfD auction. The results, unveiled today, showed a hefty 50% fall in offshore wind costs compared to the previous tender in 2015. In the UK, the construction of grid connections is included in the project scope, unlike recent tenders in Germany, Denmark and the Netherlands. These assets are later sold to an offshore transmission licensee. Hornsea Project Two will be located 89 km (55 miles) from the Yorkshire coast and will become the world’s biggest offshore wind farm, leapfrogging the 1,200-MW Hornsea Project One that Dong Energy is currently constructing. It is due to be operational from 2022. The UK government granted development consent for Hornsea Project Two, with a capacity of up to 1.8 GW, last summer. £294 million is about $410 million. Dong will get a big chunk of that $410 million up front. Consistent with announcements made in the Budget in March 2016, the Government has allocated £290m of funding for projects using “less established” technologies (so-called “Pot 2” technologies) commissioning in the 2021/22 and 2022/23 delivery years. Successful projects will be awarded a 15 year CfD. 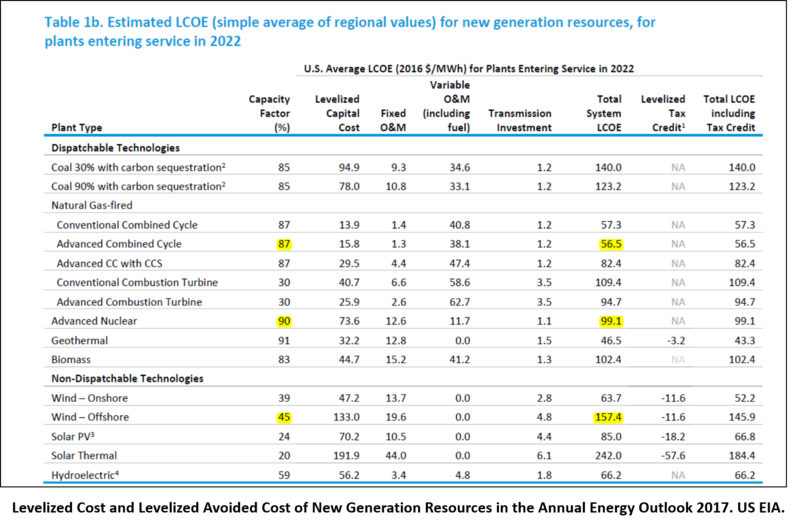 If you’re going to subsidize electricity generation, you should subsidize the generation sources that actually work: “Beautiful, clean coal” and nuclear power. At the time of the announcement there was coverage here at WUWT re Dong Energy’s bid. 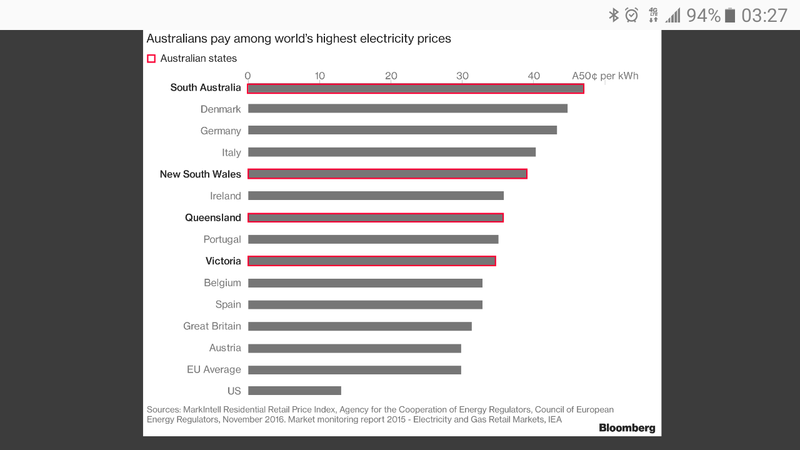 I can’t find my post, but I did some digging on the back numbers, and the RET’s and feed in tariff’s were going to cost the consumer some $0.30/kW-hr for all that nice clean energy. That’s how they were reducing the upfront costs. I wonder if Hornsea Project One and Two had an environmental impact study done? How about those whales? I think they go through a similar permitting process as offshore oil & gas platforms do. Although, if whales were actually being harmed by marine airguns, offshore wind power would have been banned long ago. if trump turned water into wine the nyt would complain he was polluting the water. MarkW does not have a clue. Reprocessing does not reduce the the amount of fission products. It only separates potential fuel from spent fuel rods. So you still need to store the fission products someplace for about 300 years until the level of radiation decreases. First of no facts were presented about cancer rates. Second when facts are presented and I check the facts, always, always it is fear mongering. Here is a verifiable fact. We all die. Age is the most significant factor. Anyone who thinks they can change that is a fool. People are afraid of dying and fear mongers take advatage of it. While I am a nonsmoker and I was glad that I did not have sit next to someone smoking at work; fear mongering about smoking and everything else gets old.